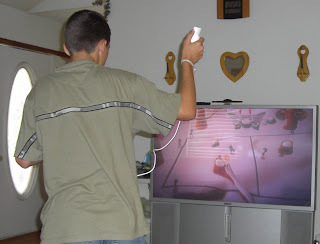 My family received a complimentary copy of the new Wii game, Pirates vs Ninjas Dodgeball. This game is rated E-10+ (suitable for those 10 years old and above), so I decided the first person to play it was my 13yr old son ! He enjoyed it and played it for what seemed to be hours. With my family everyone who plays video games is 10 or older so this game is a hit with all of us. This mom has even got in on the action and played against the boys and even dad. My boys really enjoy picking their teams. My oldest likes the zombies and my 10 yr old likes to pick the mushroom men. In my opinion, this a great game to add to your families Wii collection ! Multiplayer includes up to 4 players in co-op and versus modes. Leading videogame publisher, SouthPeak Interactive Corporation (OTC Bulletin Board: SOPK), introduces a new arcade-style videogame, Pirates vs. Ninjas Dodgeball, featuring iconic characters in the ultimate playground sport of dodgeball. 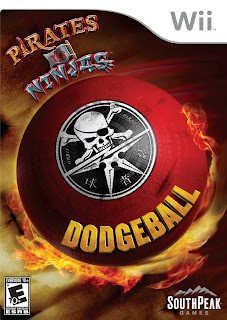 Using a ball to tag opponents out of the game, Pirates vs. Ninjas Dodgeball transforms the innocent childhood game of dodgeball into an action packed, mind-blowing battle between Pirates, Ninjas and other eccentric groups of characters. Who would win a fight between pirates and ninjas? It’s a tough question to answer and is a pop culture phenomenon that has generated YouTube videos, books, thousands of online postings and entire online communities in a rivalry that’s shown no sign of being settled…until now! Pirates vs. Ninjas Dodgeball for Wii™ was developed by Blazing Lizard to offer players the opportunity to settle this debate on the dodgeball court. The game is played with seven different teams, including the Pirate and Ninja teams, as well as Zombies, Robots, Aliens, Monsters and Mushroom Men (from the Mushroom Men games, also published by SouthPeak). The battles take place across eight visually breathtaking arenas where players look to settle the score once and for all. Pirates vs. Ninjas Dodgeball is rated E 10+ and is available at major retailers nationwide. 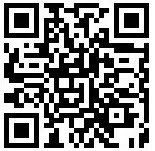 For more information, visit www.SouthPeakGames.com. I'm sure my teen will enjoy this game but unfortunately we only have xbox360 and ps2 not a wii. It looks like a great game and I want to get them a wii system soon so they can play other games like these. I would love toplay this game! It looks like fun. I have 6 grandsons ages 4-21; I'm sure it would be a great hit with preteen/teens. Oh! I bet my son would love this!